Is there a solution that offers unified access management for systems such as Microsoft® Windows®, Linux®, and Mac®, regardless of if they are located on-prem or in the cloud? The short answer is yes – there is a modern cloud directory service that can not only manage access to systems, but to applications, files, and networks too. 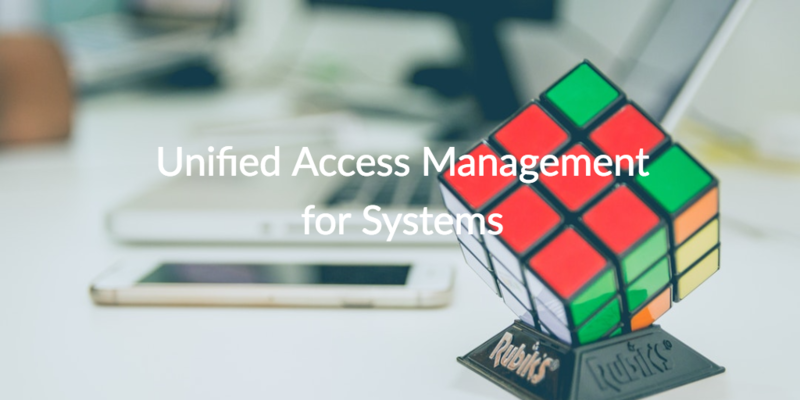 The longer answer is that the identity and access management (IAM) market has been searching for a unified access management solution that can securely manage and connect users to the IT resources they need, including systems, for a long time now. We’ll discuss the reasons why this is the case, but before we do that, we should outline what unified access management means. What Does Unified Access Management Mean? Unified access management is a new term that is generally used to describe the fact that modern user identities are no longer all on-prem, and they are not yet solely in the cloud. Rather, modern user identities are an integration of the two. Generally, this results in IT admins having to manage user identities in two places, if not more. Historically, this wasn’t an issue because the majority of organization’s had their entire IT landscape made up of on-prem Windows systems and applications. Along with Microsoft Active Directory® (AD), the domain controller would help authenticate and authorize access to the entire Windows network. In other words, all IT admins had to do was implement AD on-prem and, voila, you had unified access to your IT resources from one identity. Of course, we all realize that with the massive changes in the IT landscape, that is no longer possible. For example, Mac and Linux machines are quite popular on-prem. Linux servers have also become the go-to platform in cloud infrastructure environments such as AWS®. Web applications have complemented on-prem applications. Windows File Servers are being replaced by cloud storage, Samba file servers, and NAS appliances. Office 365™ and G Suite™ have replaced on-prem email and productivity platforms. All of these changes and more have left IT with disparate approaches to user management. 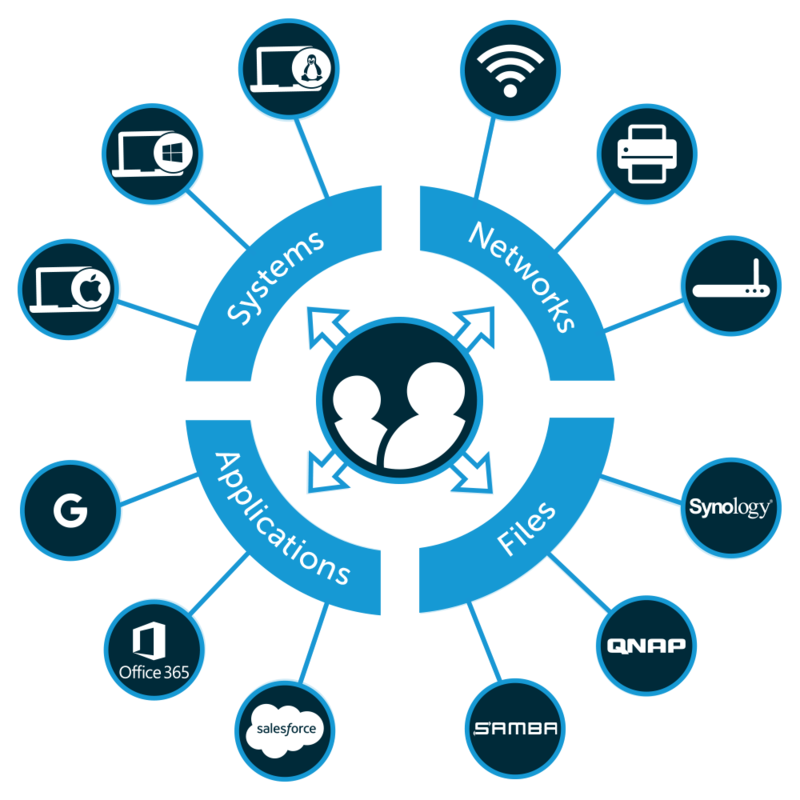 Fortunately, a new generation of cloud identity management platform is looking to unify access across systems (e.g., Windows, Mac, Linux), cloud and on-prem servers (e.g., AWS, GCP™, Azure®), web and on-prem applications via LDAP and SAML, physical and virtual storage, and wired and WiFi networks via RADIUS. Think of this approach as One Identity to Rule Them All®, which is a core concept built into the JumpCloud® Directory-as-a-Service® platform. The JumpCloud Directory-as-a-Service platform is essentially a reimagination of Active Directory and LDAP for modern networks. This cloud identity management solution seamlessly manages and connects users to their systems, applications, files, and networks. IT admins can even manage systems with commands, scripts, and task execution templates that are akin to Active Directory GPOs. Called Policies in JumpCloud parlance, they enable IT admins to manage fleets of systems from one central location. The key difference is that JumpCloud Policies work for all three major platforms (Windows, Mac, Linux), whereas AD GPOs only work for Windows without the help of third-party tools. The best part is that unified access management for systems are only one aspect of the overall JumpCloud platform. Don’t hesitate to contact JumpCloud or schedule a demo to answer any questions or discover additional use cases before you buy. 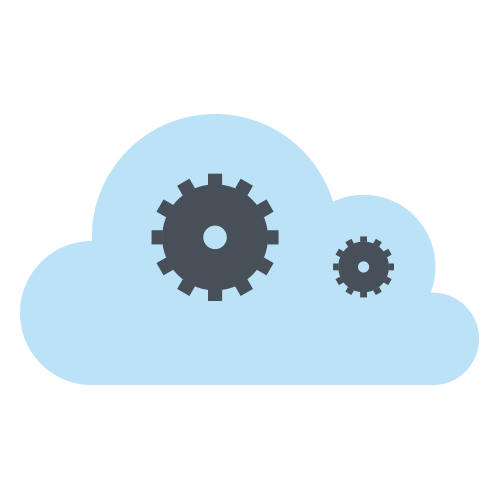 You can also sign up for a free JumpCloud Directory-as-a-Service account and unify access management for systems today. Your first ten users are free forever to help you explore our complete cloud directory service risk free. Join the JumpCloud family today!